The best restaurants in the world will try to tell you that the food they prepare is the best there is. They will present you with fancy dishes that include exotic ingredients on the plate. They will try to dazzle you with unique cooking techniques. The food that these restaurants produce can be very tasty, but for many people the best meal that they can have involves a much simpler menu. 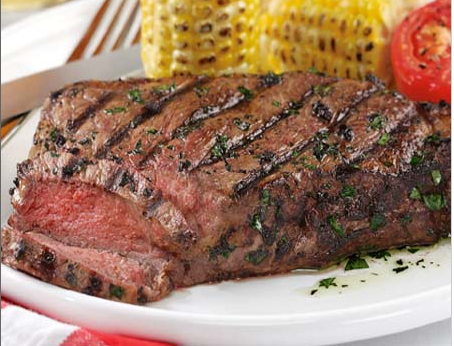 If you put a well-cooked steak and potato in front of someone, you will usually be greeted with a smile. Most people appreciate the flavor that comes from a perfectly prepared steak. Restaurants that want to take their steaks to the highest level can turn to Kobe steaks. Kobe beef comes from the Wagyu cattle that are raised in Kobe of Japan. The cattle are fed a special grass diet. They are given massages and the amount of exercise they get is limited. This causes the cattle to build less muscle and to have more fat than other cattle. The extra fat creates a marbling effect that enhances the flavor of the steaks. It costs more to raise the cattle in this way and that makes the price of Kobe beef much higher than other traditional steaks. It is also very difficult to find real Kobe beef outside of Japan. If taking a trip to Japan for a steak dinner is not an option, you might want to see what the online retailers have to offer. It takes time and patience to find real Kobe beef online. The retailers on the Internet offer what they call Kobe style steaks for sale online. Due to the laws and restrictions it is not easy to export the real Kobe beef outside of Japan. Instead, the same type of cattle is raised in other countries. The methods for raising the cattle are the same outside of Japan as it is in Japan. These cattle cannot be called true Kobe beef and instead go by the name of Wagyu steaks or Kobe style steaks. When you buy these steaks online you are still getting a premium steak that has the great taste that you are looking for. Online shopping for steaks may not be something that people are used to, but it is a great way to get a high quality steak at a price that you can afford. Instead of taking yourself to Japan for a great steak, you can get the same thing delivered to your front door.